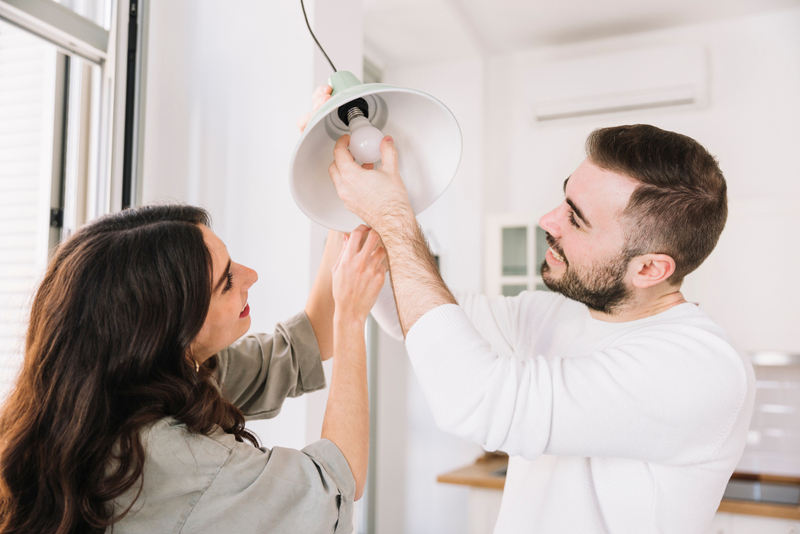 Cabinet lights have many types each for everyone’s taste and I am going to tell you some of these types and how to use them to improve your house and have a bit of a stress free extra lit kitchen and house we, starting with one of the commonly used types. They are pretty much the same as tape lights but a bit thicker and easier to reuse, fit in small places and corners and easy to install by using some mounting clips and that makes them perfect for newly rented houses or if you are moving around a lot and you want to have your own decorated, much improved kitchen they are the easiest solution. Much simpler form of cabinet lights as they are the easiest to install for improving the amount of light in your kitchen but dimmer than your average kitchen light, they are commonly used as they are mostly battery operated so you just stick them wherever you need and use them, that makes them perfect for small units, rentals and places with no plugs but it out most quality is that it is the cheapest among all. It’s the brightest of them all and its mainly used in poorly lit kitchens and for task lighting, as they have quite the nice shape when they are all connected,also good for wide and narrow kitchens, frankly they are my favorite as I like my kitchen lit up like a charismas tree. change is good for our own mental health as we areal ways trying to improve ourselves so, why not the place surrounding us, as it’s the embodiment of our imagination, in a way of course not literately. It’s a cheaper than the common lighting systems. less shadows in the house allowing us to take advantage of every corner of it. and you can do everything on your own just have your pick and install it with simple tools as each type has pros and cons, but you can find the perfect fix for your own kitchen. Finally, this isn’t the only way to improve our houses, but I think it is the easiest way and also the least dangerous as some people are concerned that adding extra electrical objects in the kitchen is always less cautious, but It’s perfectly safe and sound and fun too, have a nice home improvement time.